It seems that the popular Chinese E-Commerce Group in China, BEIDOU has its own plans to take over the phone market. It has started off with its Beidou Little Pepper earlier this year, then joined up with ZTE to launch another smartphone and now here it comes with its BEIDOU CHI, A 5 inch-ed Smartphone. The Chi will be Beidou’s first 5-inch phone and yes is also expected to give stiff competition to other smartphones in the Chinese markets. It is priced at just $103, i.e., 799 Yuan. The smartphone sports a 5.0 inch-ed IPS capacitive touch screen offering 854 x 480 resolution. 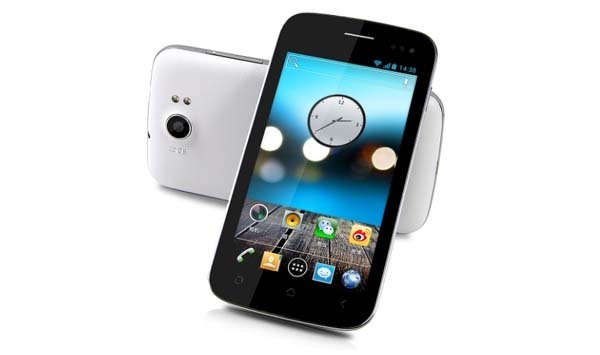 It is powered by a 1.0 Ghz Cortex A 9 dual core processor, and the phone features the Android 4.0 Ice Cream Sandwich OS. The Beiduo Chi is equipped with 8GB ROM and 512MB RAM. The phone comes equipped with an 8.0MP rear camera and a 0.3MP front facing camera for all your video calls. Connectivity-wise, the phone is equipped with common functions and sensors like WiFi, GPS and Bluetooth 3.0, Gravity, distance and magnetic sensors. The tabphone which supports dual SIM card will get the support of a 2000mAh battery which gives a pretty decent battery life. The Beidou Chi is priced at 799 Yuan ($103) and will make its debut in China on 4th December. The phone has already been spotted online at uredeal.com at $186.99. 0 Respones to "BEIDOU CHI Unveiled, Priced at just $103"